SPECIAL OFFER: 15% Off + FREE Bottle of Glass Spray - Rebel Green: Eco-Friendly Products Responsibly Made in the U.S.A.
We’re poppin’ bottles over here! 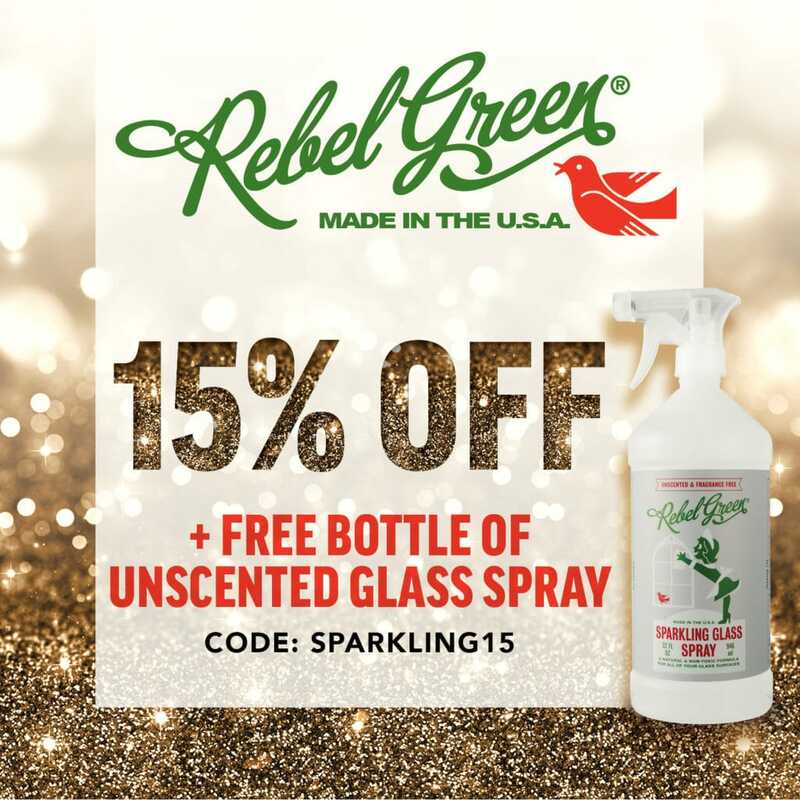 For a limited time, you can snag a free bottle of unscented Sparkling Glass Spray and 15% off when you place an order in the Rebel Green Shop. No minimum purchase necessary. Just enter coupon code SPARKLING15 at checkout. Don’t delay – start shopping now! Offer expires Monday, January 1, 2017, at 11:59 p.m. EST, while supplies last.